Foster Fuels is a diversified, stable, and growing company that has been in the petroleum business since 1921. We are committed to hiring and retaining skilled employees that are courteous, knowledgeable, and hard working. Foster Fuels values quality, customer service, safety, and dependability. We encourage those who fit the described criteria to apply. Please fill out an application and email it to hr@fosterfuels.com or fax it to 434-376-5969. We will keep it on file. Supplemental: Disability, Dental, Cancer, etc. Foster Fuels, a fuel distribution company, is looking for a self-driven Sales Representative for our Mission Critical Services division. The Mission Critical Sales Representative role primarily involves sales and business development, initially over the phone and, when appropriate, face-to-face. The candidate must be willing to travel to visit customers throughout the region, as required. The candidate must be self-motivated and must be able to work within the Mission Critical Team strategy to develop new business and promote the Foster Fuels brand. A high degree of internal and external coordination is required, particularly with customers, Mission Critical Sales team, and the Foster Fuels Executive Team. He/she will participate as a team with other Foster Fuels Mission Critical Sales Representatives and management. Manage the sales pipeline to capture new business. Use initiative to identify potential new business (industry training provided). Travel to customers’ places of business as required. Take calls from customers, quote prices, and make sales. Be available to take and proactively respond to after-hours/weekend customer emergency calls. Identification and initial contact with prospective new customers through cold calling. Develop relationships with new prospects and, where necessary, visit prospects to convert them into ordering customers. Focus to regain business with lapsed customers. Provide backup for other office sales team. Possess willingness to work outside of normal job focus when required, supporting Emergency Services Deployments, Fuel Testing and Fuel Polishing initiatives. Work experience gained within telephone sales is required. Action-Oriented, Dealing with Ambiguity, Composure, Organizational Agility, Customer Focus, Decision Quality, Interpersonal Savvy, Priority Setting, Sizing Up People, Technical Learning, Managing through Systems. May be required to assist in emergency deployments for extended periods of time. Foster Fuels, a fuel distribution company, is looking for a self-driven Sales Representative for our Mission Critical Services Division. The Mission Critical Sales Representative role is primarily sales and business development, initially over the phone and, when appropriate, face-to-face. The candidate must be willing to travel to visit customers throughout the region as required. The candidate must be self-motivated and able to work within the Mission Critical Team strategy to develop new business and promote the Foster Fuels brand. A high degree of internal and external coordination is required, particularly with customers, Mission Critical Sales team, and the Foster Fuels Executive Team. He/she will participate as a team with other Foster Fuels Mission Critical Sales Representatives and management. Knowledge of geographic area and locations of potential corporate data center locations. Specifically western Fairfax and Loudoun counties. Ability to maximize profitability and customer satisfaction within the current and future customer base in logistic sales, emergency sales, and fuel quality sales. Serves as primary customer account management contact for end-to-end responsibility for project and customer needs. Strong communication skills (both oral and written) in face-to-face and written exchanges. Foster Fuels is looking for a dynamic, data-driven marketer to help develop the marketing funnel and design high-quality graphics for the Mission Critical division. This person is highly creative, process-driven, and thinks scale as we look to strategically grow revenue in a fertile market. Our ideal candidate will improve user experience by bringing our brand to life and keeping it consistent across all various touch points. You will work closely with the creative team to attract potential clients, convert leads, and nurture current partnerships, which will be accomplished with Mission Critical sales team help. You will be charged with implementing strategies and tactics that grow our followers, engage and retain them, and help convert them into leads, customers, and active fans and promoters of our company. You will work to create scalable processes that ensure best practices in lead generation to expand the company’s digital footprint, awareness, and subscribers. Promote development and awareness with event management and sponsorships. Create and maintain metrics reports on marketing and sales activities, measuring effectiveness and business impact. Connect and establish a sustainable, strategic approach to PR based on adding value to media outlets, event managers, and influential journalists to place stories about company news and other initiatives. Explore new ways to engage new markets and to reach our target buyers. Track, measure, and analyze all initiatives to report and continually refine our process to convert customers and grow ROI. Create, distribute, and implement sales/campaigns. Research, propose, and manage digital and print ads. Manage inbound and outbound marketing activities. Maintain consistency in design, voice, and message of our brand across platforms to grow brand awareness and preserve brand equity. Collaborate with the creative team, external influencers, and industry experts to produce relevant content that meets the needs of the operation and audience. Run regular promotions and campaigns and track their success. Measure and optimize paid marketing initiatives through exploration, vendor reports, and acquired data. Manage relationships with third-party vendors and ensure we get the most efficient costs possible. Work closely with the Multimedia Designer to create high-quality graphics for trade shows, case studies, proposals, and other visual content. Document and photograph event missions for content to use in marketing initiatives—this will require some travel as need arises. A high level of creativity, attention to detail, and project management skills is required. Ability to convince and influence others that your creative ideas are worth investing time and effort. Ability to simultaneously manage multiple projects in a fast-paced environment. Experience in marketing automation software. Experience and skills in Adobe CC (particularly in Photoshop and InDesign). Experience in web analytics software and keyword tools. Ethical Conduct, Credibility and Integrity, Analytical Thinking, Results-Driven, Conflict Management, Problem Solver, Influencing, Intellectual Horsepower, Diplomatic, Managerial Courage, Strategic Planning, Managing and Measuring Work and Results, Flexible and Agile to Changing Business Actions. Foster Fuels, a fuel distribution company, is looking for a Credit and Collections Manager. The focus of this opportunity will be to work closely with the Business units to establish credit procedures for new and existing customers and take appropriate actions to ensure that all monies owed to Foster Fuels is billed, received in a timely manner minimizing the company’s financial losses. based on delinquency of account to recover past due payments. Work closely with billing departments to implement processes and policies to ensure accurate invoicing. Monitors and negotiates on the payment of past due accounts. Establishes procedures for final demand of payment. Research and evaluate Customer’s credit worthiness based on scoring models to predict risk and vulnerability. Approve or reject service request based on credibility and potential revenue losses. Negotiate payment terms with customers on past due accounts. Serve as an active team member with all business units Leaders to ensure best return on accounts possible. Establishes metrics and reports results on success of the Credit and Collection efforts. judgments, making court appearances, and performing any follow-up measures available. Requires a bachelor’s degree in business administration, finance or a related field. Requires 3-5 years previous experience in a related area as an individual contributor. Foster Fuels serves our nation in the delivery of fuels. The Transport Driver is a seasoned driver whose job is to deliver fuel to customer destinations and to provide exceptional customer service. 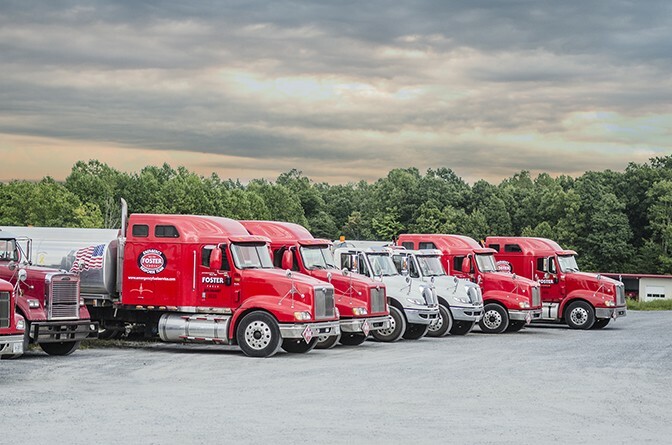 Foster Fuels’ drivers are responsible for and required to ensure their equipment is properly maintained and all records and reports required for DOT and corporate compliance are met. Drives truck and tanker to pick up and deliver fuel products as required. Applies knowledge of commercial driving and skill in maneuvering vehicle at varying speeds in difficult situations, such as heavy traffic, inclement weather, or in tight loading/unloading areas. Abides by all company, DOT, state and federal transportation safety regulations. Conducts pre-trip and post-trip inspections of equipment for defects and safe operating conditions before and after trips, when stopped during the workday. Submits a daily vehicle inspection report on the condition at the end of each day. Performs basic preventive maintenance to ensure fluid levels and tire pressure are maintained. Maintains records required for compliance with state and federal regulations, including driver’s logs, records of fuel purchases, mileage records, and other records required by Foster Fuels or state and federal regulations. Ensures that all shipping documentation (bills of laden, weight tickets, etc.) required to move with shipments are available for inspection, that appropriate paperwork accompanies shipments when delivered, and that signed bills of laden for proof of delivery are turned into dispatch daily. Reports all accidents/incidents involving driver or company equipment to the supervisor immediately after an incident occurs. Promptly reports any delays due to breakdown, weather or traffic conditions, or other emergencies. Also reports if there is more than a one-hour delay in getting unloaded or loaded, and reports in the event of irregularities relating to pick-up or delivery of fuel. Requires one year minimum over-the-road experience as a fuel transport driver. Requires Class A Driver’s License with H & N endorsements, current DOT physical examination card, and clean DMV record maintained during the duration of employment. Position travels outside of the local area when responding to an emergency event. Ability to complete simple calculations using addition, subtraction, multiplication, and division in all units of measure, whole numbers, fractions, and decimals. Ability to graph hours of service driving logs both manually and electronically. Foster Fuels is currently looking for an experienced Diesel Mechanic to keep up our level of commitment to safety and customer service. In this role, the successful candidate will perform truck repair and maintenance work in accordance with factory and industry standards, run diagnostics on vehicles, and work closely with other team members to meet company goals for on-time vehicle availability. This is an excellent opportunity for a knowledgeable, hardworking, Diesel Mechanic to apply skills in a company that offers competitive salary and benefits. conditioning, fuel, emissions, brake, steering, and hydraulics. Maintains vehicle records by recording services and repairs electronically or manually on vehicle log books. Action-Oriented, Dealing with Ambiguity, Approachability, Composure, Conflict Management, Customer Focus, Decision Quality, Timely Decision Making, Functional/Technical Skills, Integrity and Trust, Listening, Patience, Problem Solving, Self-Knowledge, Perseverance, Peer Relations, and Technical Learning. Must be able to lift up to 50 lbs. Long-term standing, squatting, and crawling. Good hand-to-eye coordination. Be an active part of fueling disaster recovery and relief efforts by joining Foster Fuels’ Mission Critical Division as an Emergency Response Driver. When disaster strikes, qualified drivers take to the wheel and deliver necessary fuel to industries across the continental U.S., keeping America running and fueling government relief efforts. To be a part of this unique team, drivers must meet all requirements and be willing to drive under hazardous conditions. The position offers excellent pay and covered expenses. To perform this job successfully, an individual must be able to perform each essential duty satisfactorily. The requirements listed below are representative of the knowledge, skill, and/or abilities needed to do the job. Conducts pre-trip and post-trip inspections of equipment for defects and safe operating conditions before and after trips, when stopped during the work day. Submits a daily vehicle inspection report on the condition at the end of each day. Ensures that all shipping documentation (bills of laden, weight tickets, etc.) required to move with shipments are available for inspection, that appropriate paperwork accompanies shipments when delivered, and that signed bills of laden for proof of delivery are turned in to dispatch daily.